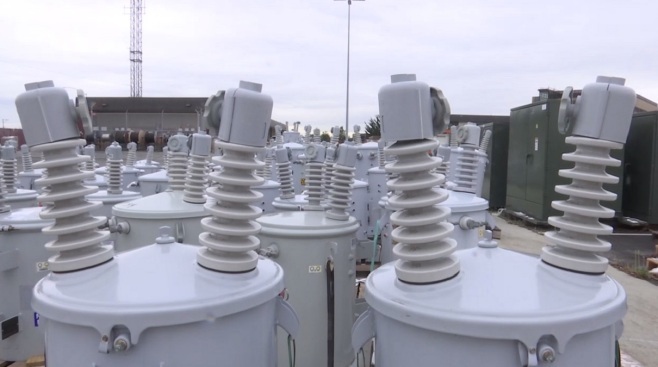 With another storm expected to hit the Bay Area this weekend, PG&E crews on the Peninsula took extra caution, stocking up on power poles, cables and other equipment for any repairs caused by outages. Responding to storms is its top priority, according to Andrea Menniti with the Peninsula PG&E outlet. "PG&E has a plan and we want our customers to have a plan as well," Menniti said. "Make sure you have food. Make sure you have water. If you do happen to see a down power line, call 911." Menniti said the Peninsula yard in San Carlos has nearly five months of backup equipment ready to go and storms are "all-hands-on-deck" for their crews.